Wemyss Bight EOC almost complete! The Wemyss Bight Emergency Operations Center (EOC) is well underway; we have just received word that the roof is now complete! South Eleuthera Emergency Partners is leading the way to provide emergency fire and medical services to the southern end of Eleuthera that currently has no local service. Interested in supporting the community based project? Donate here. The new facility will function not only as an EOC, but also as a community center and regional model for sustainable design and construction. In addition to the EOC, the site plan includes a shaded outdoor gathering space for vendors and events, a compost drop-off area, and a community garden all defined by plant beds of native and drought tolerant vegetation with stone walls. The building is intended to have bright colored walls, shade sails, and signage to announce the community structure from the road and encourage visitors to stop by when vendors are present. The building structure is designed with simple, cost-effective, and locally well known building practices, while utilizing new green materials and technologies in creative ways. Sustainable energy, ecology and water systems for the building and site have been developed for both functional day-to-day operations and emergency situations. 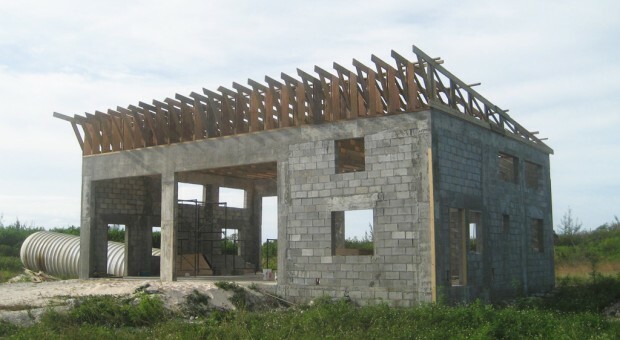 The EOC building design follows the guidelines and recommendations for Island-wide environmental renewal as stated in the 2010 planning report A Shared Vision For South Eleuthera created by Michael Singer Studio. The funding for the design was provided bythe Jeffrey Cook Charitable Trust which carries the mission to “explore opportunities and responsibilities of the built environment and its interaction with the natural environment, in securing human sustainability and enhancement.” Nearly one half of the grant funds were utilized to purchase and transport a 30,000 gallon rainwater cistern tank from a nearby defunct resort for re-use at the EOC. The rainwater tank will supply water for emergency use, irrigation use during droughts and for the future community gardens.